MIDD Volleyball 2017-18: Sarah Studwell '13 Rides for Pride! 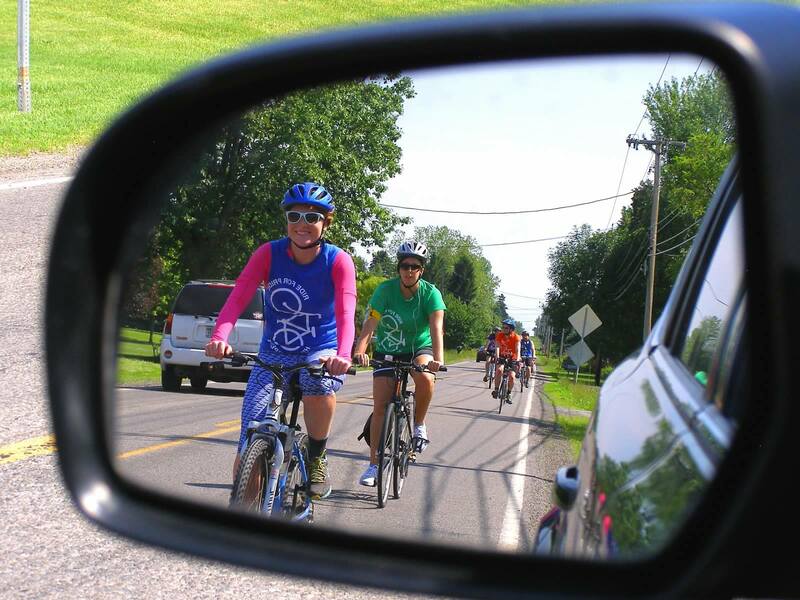 Sarah Studwell '13 Rides for Pride! 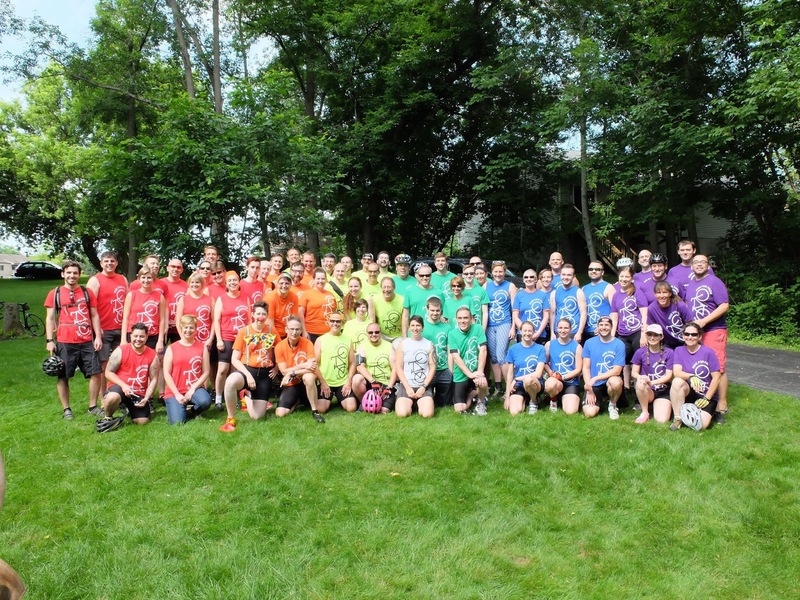 Sarah Studwell '13, or Stud as she was known with MCVB, participated in the Ride for Pride this June near her hometown, and surpassed her group's fundraising goal! Sarah rode 50 miles to raise awareness and funds toward LGBT regional support programs and national LGBT lobbying efforts. She reported that, "Despite the recent progress with the blanket legalization of gay marriage, GENDA (the gender non-discrimination act that would prohibit discrimination based on gender identification) failed to pass once again. So your donations will be put to good use!" Sarah said that her group's goal was to raise $25,000 and at the time she sent me her update they had raised over $30,000, so well done, Stud, that's awesome!! And, riding 50 miles is no small feat, so congratulations for not only raising that amount of funds, but also in completing the ride. Here are a couple of pictures of Stud and her group. What a great experience and cause. 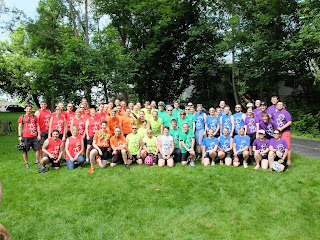 Happy Summer, and thanks for sharing your event, Sarah!! This last picture is our flagpole here in MI. 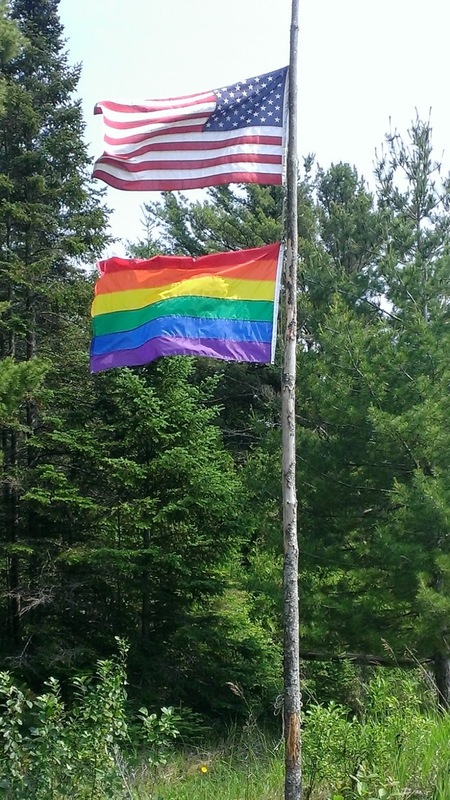 After the court ruling, my middle daughter told my husband that she wanted to get a rainbow flag and fly it along with the American flag. So, they got on Amazon.com and found one!